Researchers working in four labs at UT Southwestern Medical Center have found a chink in a so-called “undruggable” lung cancer’s armor — and located an existing drug that might provide a treatment. The study, published this week in Nature, describes how the drug Selinexor (KPT-330) killed lung cancer cells and shrank tumors in mice when used against cancers driven by the aggressive and difficult-to-treat KRAS cancer gene. Selinexor is already in clinical trials for treatment of other types of cancer, primarily leukemia and lymphoma but also gynecological, brain, prostate, and head and neck cancers. Lung cancer is the No. 1 cancer killer in the U.S., responsible for more than 158,000 deaths a year, according to the National Cancer Institute (NCI), and the KRAS oncogene is believed to be responsible for about 25 percent of all lung cancer cases. The 5-year survival rate for lung cancer is below 18 percent. Cancers caused by the KRAS mutation have been a target for researchers since the mutation was discovered in humans in 1982. But, due in part to this oncogene’s almost impervious spherical shape, no one was able to find an opening for attack, said Dr. Pier Scaglioni, Associate Professor of Internal Medicine at UT Southwestern and a contributing author to the study. Dr. Michael A. White, Adjunct Professor of Cell Biology and senior author of the study, assembled multiple research teams and used robotic machines to create and sift through trays with thousands of cancer cell/potential drug combinations to uncover the KRAS mutation’s weakness. The scientists found that targeting and inactivating the protein XPO1, found in the cell nucleus and used to transport gene products from the nucleus to the cytoplasm, killed most of the KRAS mutant cancer cells. Based on the results of this study, Selinexor, developed by Karyopharm Therapeutics, will be the focus of a multicenter lung cancer clinical trial led by UT Southwestern’s Dr. David Gerber, Associate Professor of Internal Medicine. That trial is expected to open for enrollment next year. In preclinical results from cancer cells and mouse models in the Nature study, 83 percent of the KRAS mutant lung cancers responded to Selinexor. 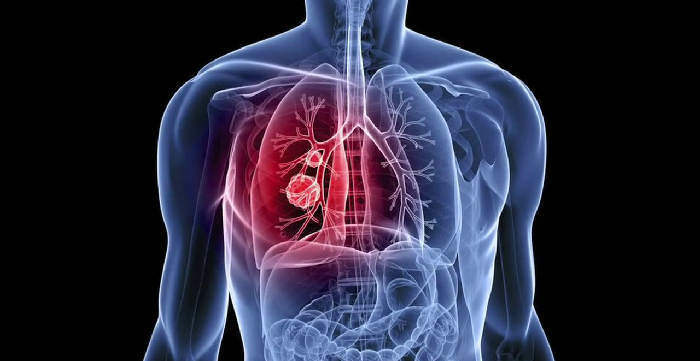 The study found the remaining 17 percent of lung cancers could be killed by adding a second drug to inhibit YAP1, a gene known to be involved in the promotion of several other cancers. Here too, there was an existing drug, Verteporfin, which appeared to be effective in blocking YAP1. Verteporfin is currently used to treat blood vessel disorders in the eye. Web Source: UT Southwestern Medical Center.